Whether its cooking your own catch fresh from the sea or preparing delicious easy meals on board for friends – Yacht and Boat Recipes are sure to inspire you! 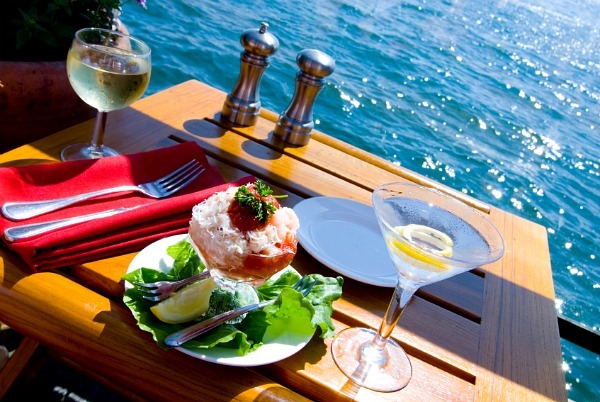 The Cabin Fever Cook has a super easy recipe on the Yacht and Boat website. Perfect for boating. Crostini with prosciutto, sundried tomato and goat's cheese topped with pesto is an easy and delicious canape to go with cocktails on board a boat. School Prawns are sweet and delicious you can eat the crunchy shells and the fried semolina crust can be flavoured with garlic flakes for extra crunch. Serving delicious canapes and hor'dourves aboard any yacht or boat is easy with the right recipes and preparation. Make your next cocktail party special without the stress. Avocado Salsa Oyster topping, guacamole topped oysters. This salsa is also delicious with corn chips. Lamb with goat's cheese, semi dried tomatoes, goat's cheese and oregano foil parcels are so easy to make on the BBQ or boat.